Samsung has officially unveiled its latest Exynos 9 Series 8895 chipset, which takes advantage of advanced 10nm FinFet process technology with improved 3D transistor structure, a few days ahead of the MWC 2017. The new Exynos 9 Series 8895 chipset offers 27% higher performance and 40% lower power consumption compared to 14nm technology. This octa-core processor features four Samsung 2nd generation CPU cores and four Cortex-A53 cores with a Mali-G71 GPU. is the first processor of its kind that has a Gigabit LTE modem that offers 1Gbps downlink with 5CA and 150Mbps uplink with 2CA. Samsung's latest offering focuses on Virtual Reality (VR). Its GPU and multi-format codec (MFC) delivers excellent multimedia performance with minimized latency. It supports 4K at 120fps recording and playback, and there's an embedded Vision Processing Unit (VPU) that tracks movements for improved video tracking, panoramic image processing, and machine vision technology. 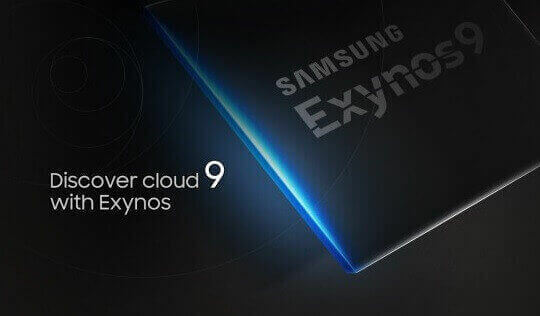 The Exynos 9 Series 8895 chipset will not only power mobile devices. Automobile manufacturer, Audi, has already agreed to use Samsung's Exynos processors in its In Vehicle Infotainment (IVI) system. With this partnership, we're expecting the Exynos 9 to be a part of the automobile technology.